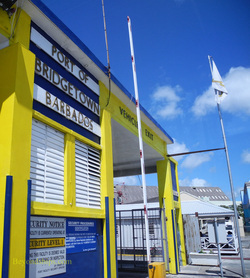 Above: The cruise terminal in the Port of Bridgetown. 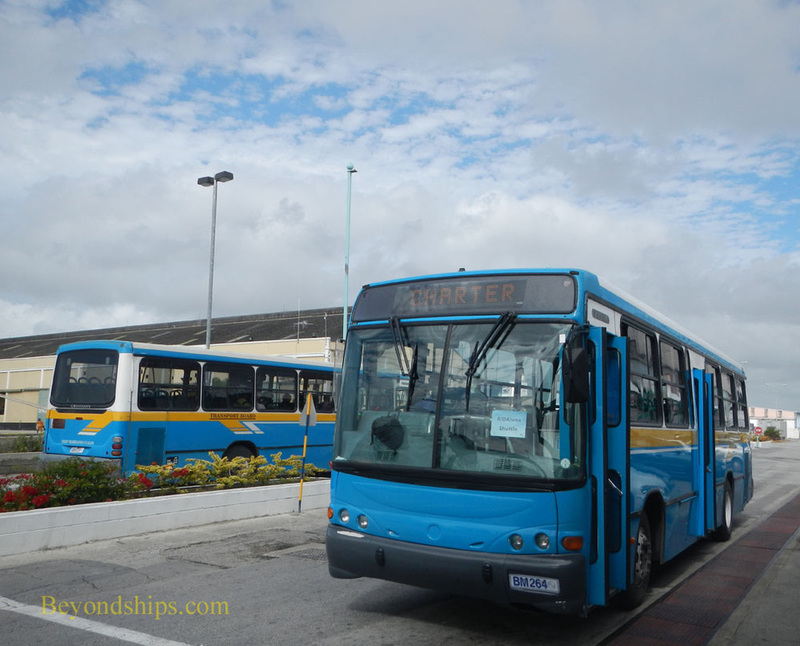 Below: Shuttle buses run from the ships to the terminal building. Above: Guests can shop in the terminal building. Below: Guests exit the terminal on the opposite side of the building where there is a sheltered area for guests going on shore excursions to gather. Cruise ships calling at Barbados dock at the Port of Bridgetown Deep Water Harbor. It is a busy port, handling some 700,000 cruise passengers a year. 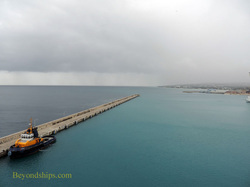 The port is both a port of call for ships on cruises originating elsewhere and a port of embarkation/disembarkation for cruises beginning in Barbados. A man-made structure, the port was begun in 1956 and has been renovated subsequently. It handles cargo ships as well as cruise ships. The port area is separated from the sea by a long sea wall that juts out from the land and then turns to parallel the opposite bank. Another wall projects out from the shore, leaving a space at the northwest end of the harbor for entry and exit. Larger ships berth along the sea wall and along the opposite side of the harbor. Smaller ships can berth along the southern end of the harbor. The port has hosted four large cruise ships and two smaller ships at the same time. Entry and exit from the port is through a dedicated cruise terminal. Because the port area is quite large and because of cargo traffic, complimentary shuttle buses go from the ships to the terminal building. In most instances, guests also have the option of walking to and from the terminal building. 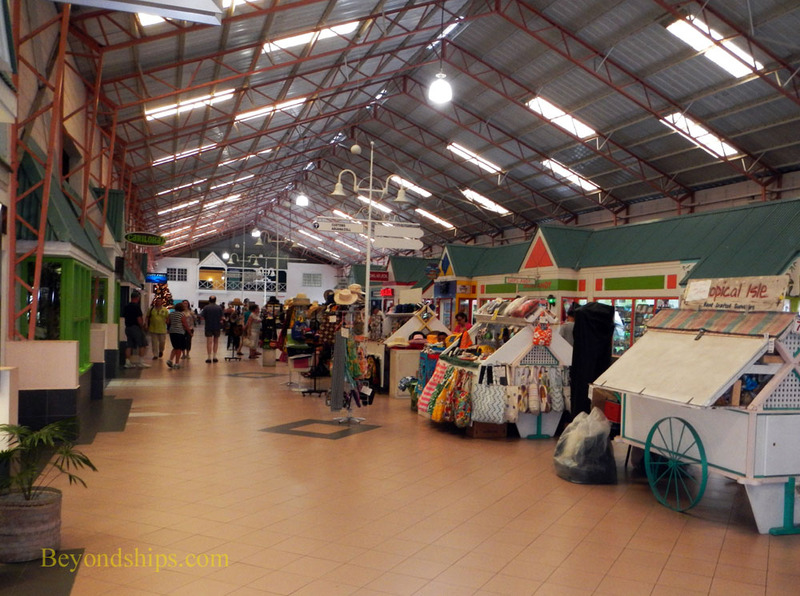 Inside the terminal building are 20 shops offering jewelry, crystal, souvenirs and other merchandise. There is also a tourist information center. 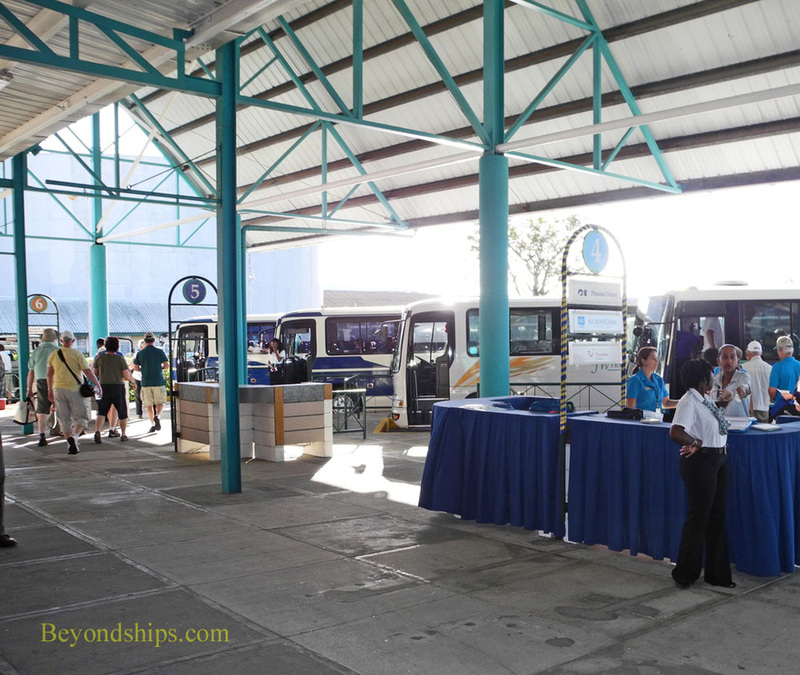 Guests going on shore excursions gather in a sheltered area just outside the terminal building. Taxis can be found in the parking area nearby. 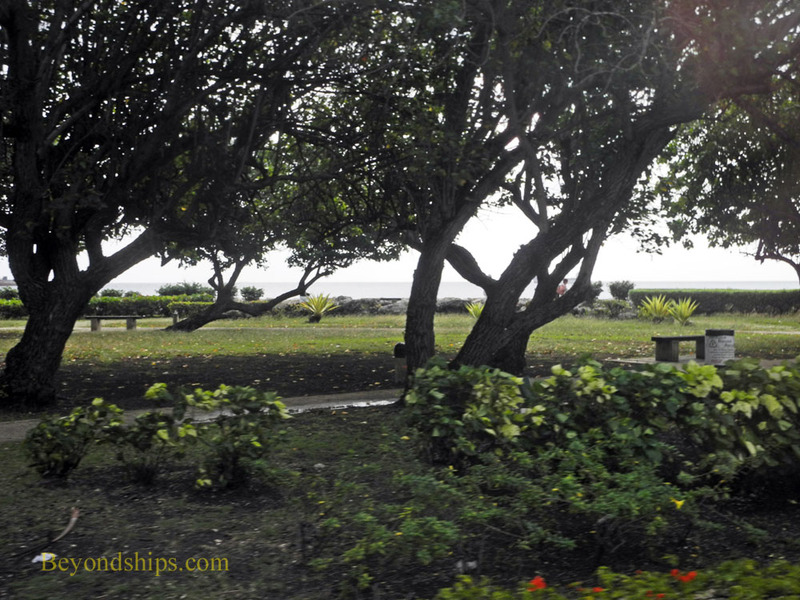 The port is within walking distance (about one mile) of downtown Bridgetown (see article) as well as of some of the island's beaches (e.g. Brandon's beach 1.2 miles; Carlisle Bay beach 2 miles). It is about 13 miles from the airport. Above: A path, which becomes a boardwalk, connects the port to downtown Bridgetown.